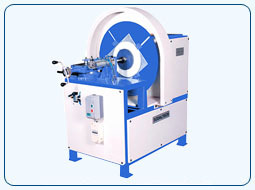 This machine is used to fix the metal rings with the top & bottom of the drum and seamed to hold firmly with body. * This machine is simple to maintain and operate. 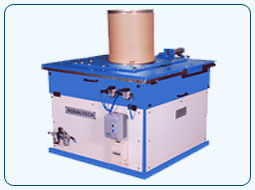 This machine is used to fix the bottom disc with the drum. * Pneumatic clamping to hold the drum firmly. 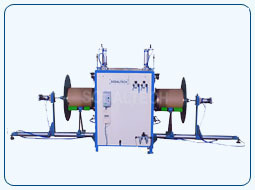 * The depth of grooving and diameter of grooving can be adjusted easily and quickly. * Easy interchange facility of clamping. 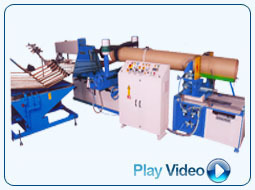 This machine is used to cut circular discs (lids) from plywood or hardboard sheets for using as end closures in Fibre drums.